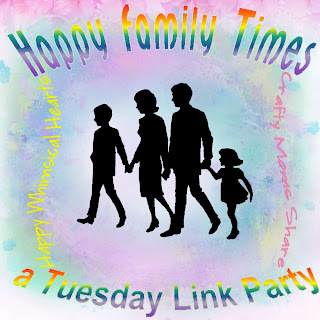 Have you done something fun or different with your family this week? Kelly from Happy Whimsical Hearts and I would love to hear about it. Please share it below! 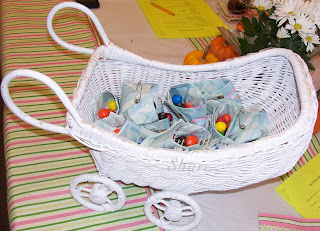 This week Hazel went to her first baby shower. Although she had a chance to attend a baby shower a year and a half ago for her godparents, she was not at a point of being able to handle it that day, so she didn't. So this week, we got invited to a baby shower that the library staff was putting on for the children's librarian. Most of the guests were library staff, but somehow we got on the list even though it has been four years since I volunteered there and the staff has mostly changed since then. Hazel was so excited to get to go to the shower. She told everyone about it. Then while there she sat next to Ms. Bethany and also was the one who passed her which gift to open. She also enjoyed two pieces of pizza, salad, and M&M's. She was going to spend the night at Nonni's who was not happy she ate so much at the library when she had cooked dinner, but it ended up not mattering since Hazel caught yet another cold and had to come home. For a gift, we finished up the baby quilt I started making for Hazel. 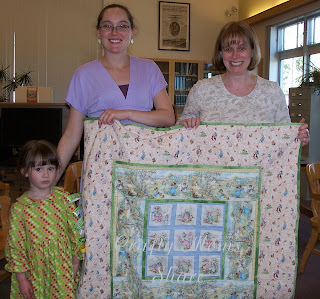 Our nursery was Beatrix Potter themed so her quilt was as well. It seemed like the perfect quilt for a children's librarian. All I had to do was quilt the border and bind it. 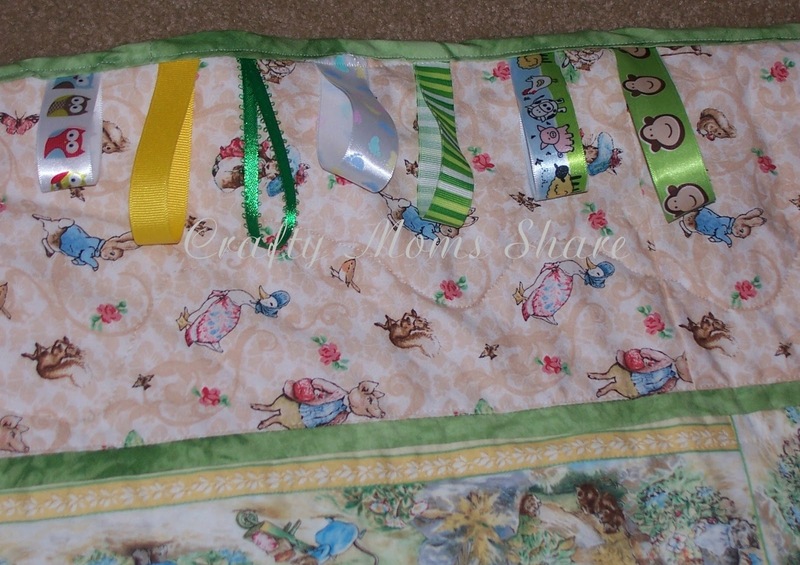 I also added some ribbons so she could use it for tummy time and give the baby something to play with. I didn't take too many pictures at the shower, but thought I would share our mother/daughter time which was spent in a traditional female event. She loved the attention of being the only child there, but did get bored after awhile. Of course we had a long day with hair appointments (her first full hair cut), dance class and the shower. It was a fun time which unfortunately ended with her complaining of a sore throat. oh! 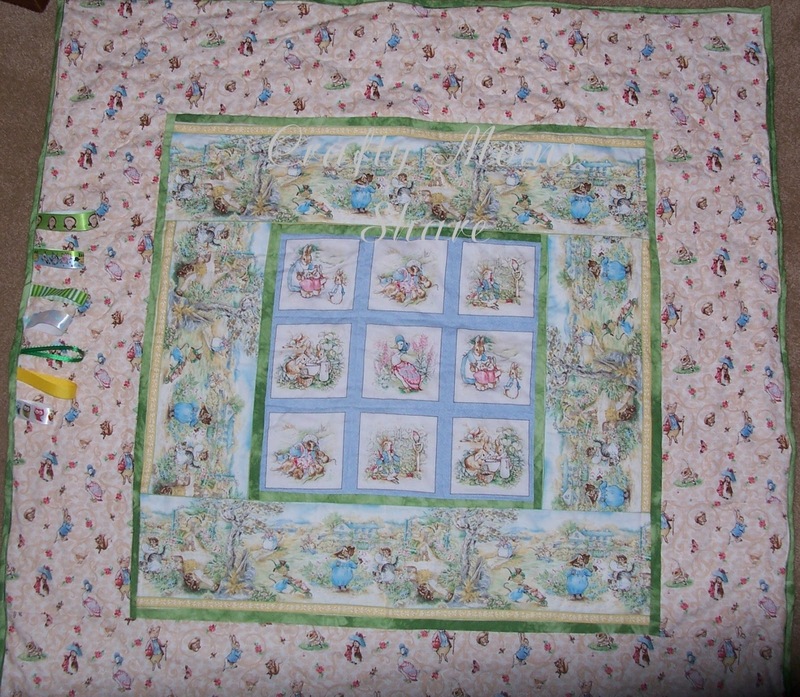 I love the beatrix potter themed fabric. 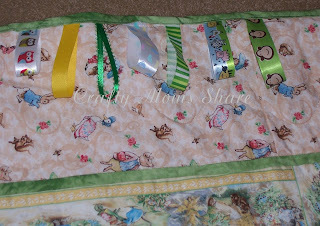 Do you know where I can get story book themed fabric - , i Might try my hand at a quilt or something. A baby shower what fun, not something we do in the UK but looks such a great idea I think it could start catching on! Hi, my daughter's theme is also Beatrix Potter. Her baby girl is due on July 11. 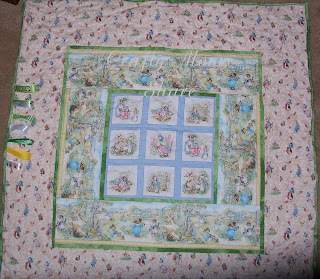 Just wondering if you make any quilts to sell? This one is perfect. I don't. I don't always find the time to do the sewing and quilting I like to do and am not much of a perfectionist with it, so I tend to not sell. However, my mother may be up for the job if you are interested.